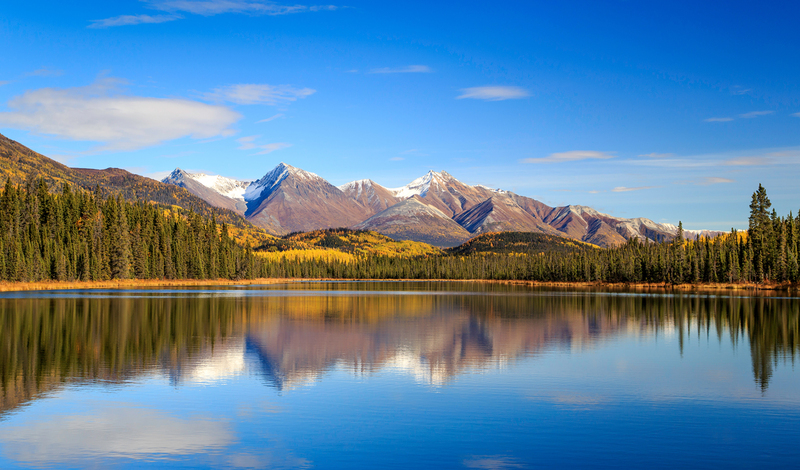 Dubbed America’s Last Frontier, Alaska is home to wide-open wilderness and endless adventure. Yet few travelers seem to make it past the well-trodden paths of Denali and the Kenai Fjords. Wrangell-St Elias National Park brings a whole new meaning to wilderness. Notoriously difficult to navigate, it’s hard to believe that this majestic park is home to one of the state’s most luxurious lodges. A hundred miles from any road, with just five cabins, Ultima Thule is a real escape to nature where you can quite literally go where no person has gone before. Best pinpointed by coordinates rather than a conventional address, Ultima Thule Lodge is the Last Frontier’s last frontier. By definition, that means that getting here is no mean feat. Like everything at Ultima Thule, how you get here depends entirely on how adventurous you’re feeling. Fly an and a half hour from Anchorage, drive the four and a half hours to Chitina or overnight in the end-of-the-road village of McCarthy; it’s not just about the destination here. Imagine waking up to panoramic views of snow-covered peaks and the glistening Chitina River, before meandering up a river rock path to breakfast in the Main Lodge. Sound good? Well, that’s what a stay at Ultima Thule is like. Made up of just five cozy cabins, you can truly be at one with nature here. 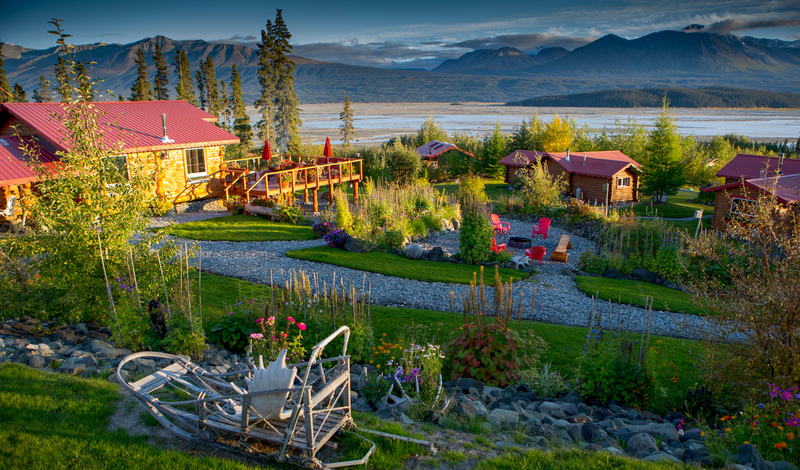 Nestled on a hillside of wild flowers and built using local timber, the cabins exude rustic Alaskan luxury. Devoted to primal comfort, with plush leathers and elegant craftsmanship, it’s the perfect base from which to explore the great outdoors. Never has a family been more passionate about the Alaskan wilderness than the Claus Family, the owners of Ultima Thule. Pioneering the art of landing bush planes, fitted with tundra tyres, on ice glaciers, they put Wrangell-St. Elias at your fingertips. Spend your days flying up mountains, picnicking on sandbars and hiking trails that no-one else has hiked before. When they say that every day is unique here, they really mean it. There is no such thing as an itinerary, instead, take your cue from nature as you experience something larger than the world you see each day. Our favorite Ultima Thule experience though? Following the Iditarod from Anchorage to Nome, by air, camping out each night in total luxury. It’s an Alaskan experience like no other.